Ama Dablam is one of the most stunning, technically challenging, and a dream mountain for any climber. 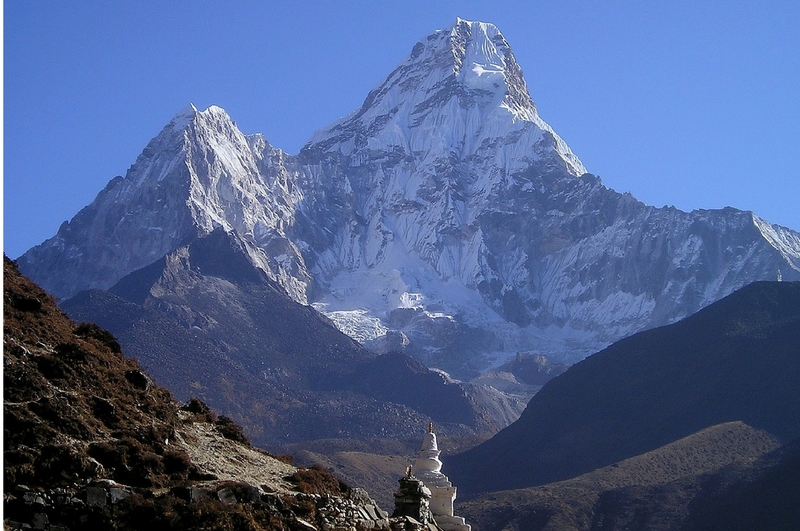 Ama Dablam lies in the height of 6812 m in the Khumbu Himalayan range. 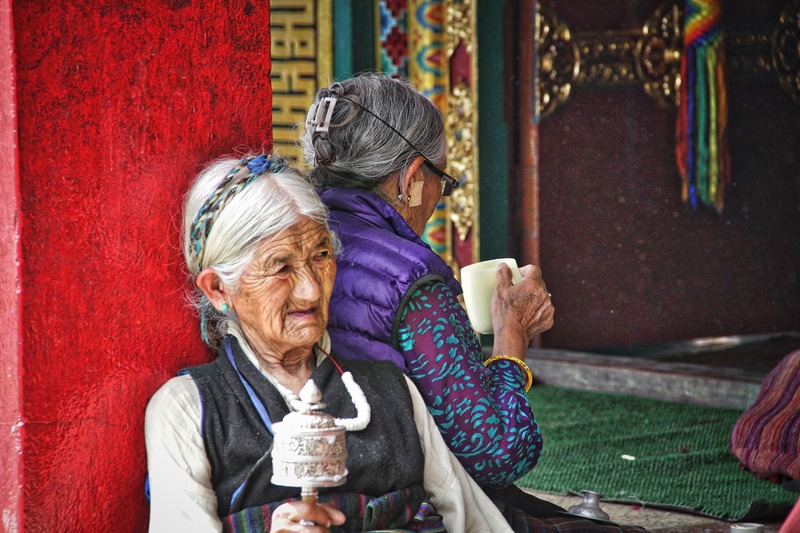 Ama means mother and Dablam means pearl necklace. The hanging glacier (Dablam) is considered as part of the main peak, which makes the name Ama Dablam (mother and the pearl necklace). 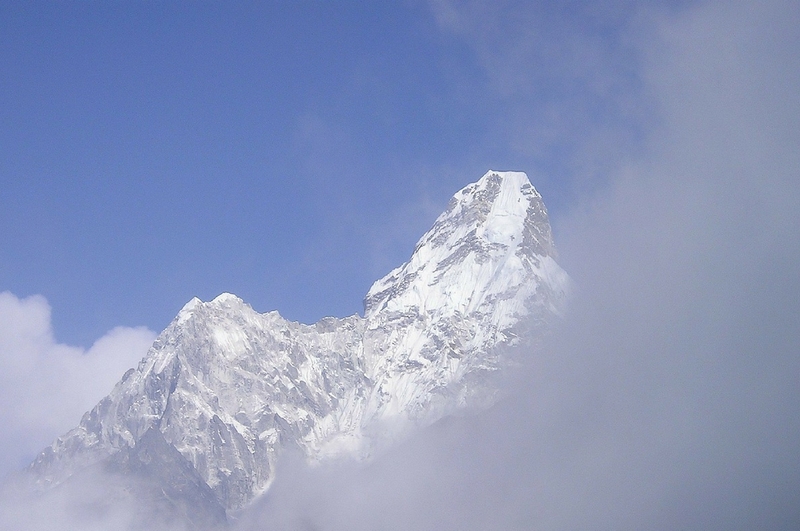 Ama Dablam was first climbed in 1961 by Mike Gill, Barry Bishop, Mike Ward, and Wally Romanes. It is our great pleasure that we have organized Ama Dablam and Everest expeditions for Brent Bishop (son of Barry Bishop). We organize Ama Dablam expeditions on the regular South West Ridge. We usually set up 2 to 3 camps above the base camp. 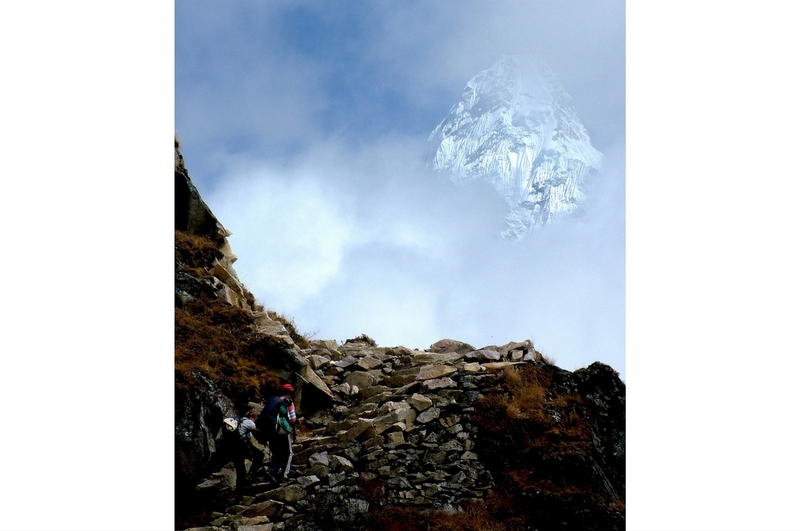 The Ama Dablam climb gives one a very good technical and cultural experience in the Khumbu Valley. The expedition team starts the trek from Lukla all the way to Kalapathar (5435m), and makes a climb to the Lobuche Peak (6119m) for acclimatization. This acclimation trek and climb will help the climbers reach the summit of Ama Dablam in a short period of time. 1. Qualified and experienced staff: The staff we engage with on our Ama Dablam Expedition is well-trained and experienced in their respective jobs. All of them are very experienced, hospitable and know how to keep the climbers healthy and happy. 2. 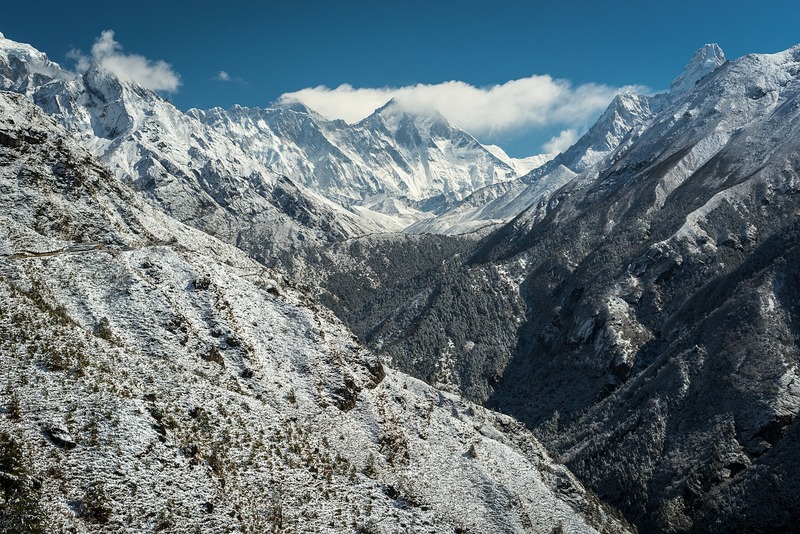 Acclimatization trip: The acclimatization trek follows from Lukla to Kalapathar through the beautiful villages of Namche, Khumjung, Tengboche, Pangboche, Pheriche and Lobuche. 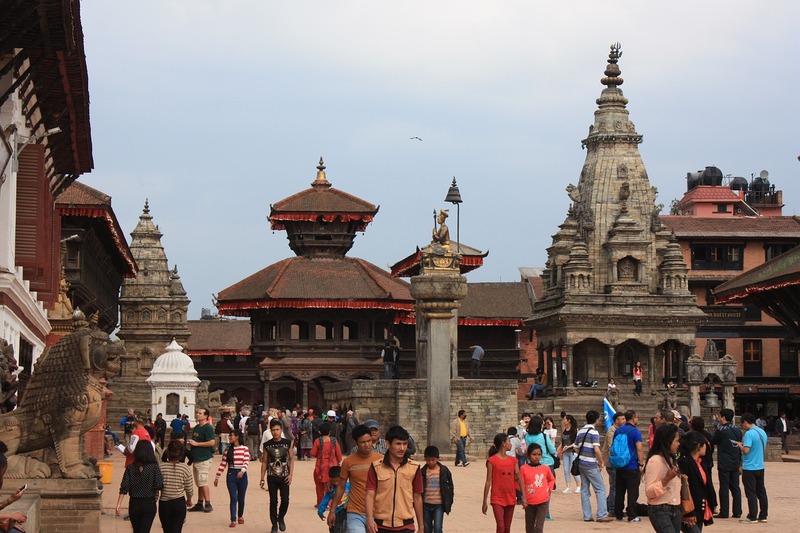 This is a very beautiful trek where you can not only enjoy the views but also explore the local cultures and traditions. The climb of Lobuche Peak (6119m) will help you acclimatize for your ascent of Ama Dablam. Acclimatization always plays a vital role in making an expedition successful in the Himalayas. a. You must be experienced with ice, snow and rock climbing. b. You must be physically and psychologically fit for climbing 6000 m peaks. For many years, we have been organizing trekking and mountaineering in Nepal. We have organized several expeditions to Ama Dablam. We organized successful Ama Dablam expedition for Brent Bishop in 2002. His father Barry Bishop and his team were the first ones to climb Ama Dablam in 1961. All Ama Dablam expeditions that we have organised were successful and all the members of those expeditions were very happy with our planning.